Believe it or not, these photos were actually taken on the first full day of the holiday. I say that because I actually have a little bit of a tan going on in these photos, thanks to a tactical spray tan before I went away. 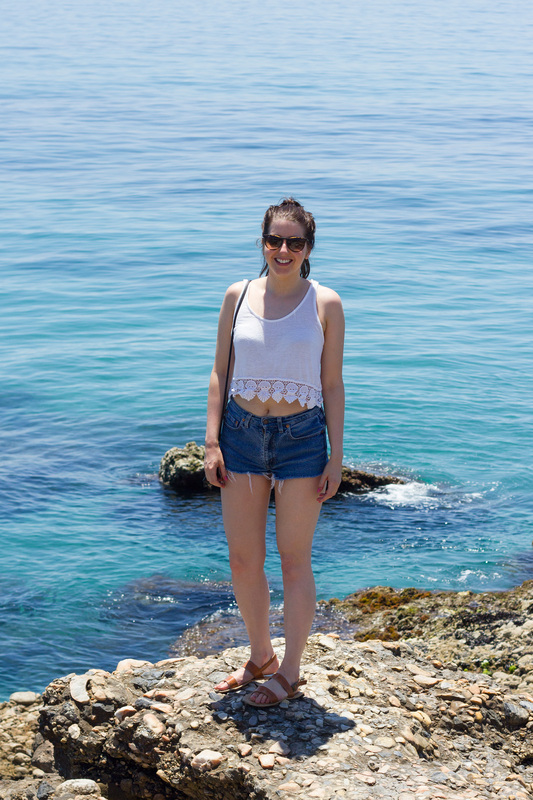 Spain really wasn’t ready for my pale girl legs! 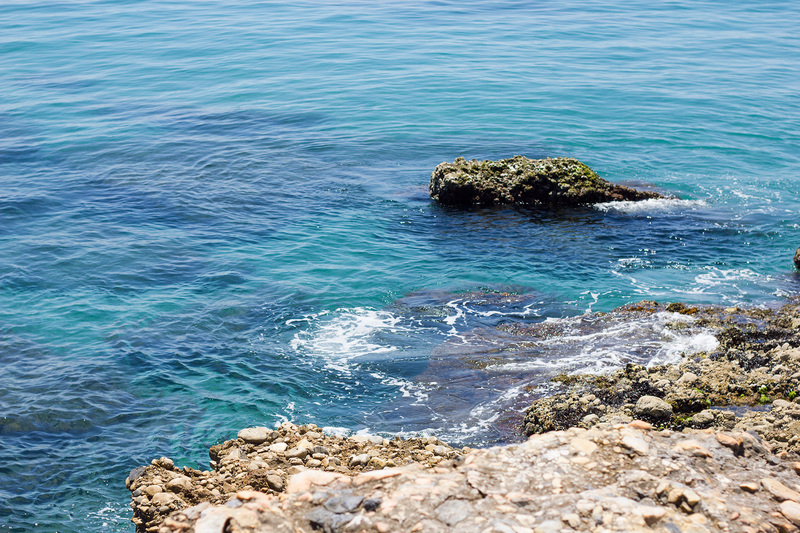 Anyway, we decided to head down to Nerja, which is home to the closest beach to our villa near Frigiliana. The sand wasn’t the best, but oh my god… that sea! We’d just eaten the most delicious barbecued fish at a restaurant along the beach front and came across this lovely little spot to snap a few photos. I went for a really casual look on this particular day, throwing on my vintage denim Levi’s shorts (similar here), a crochet detail vest from Zara (similar here), some plain leather sandals from Primark (similar here) and my trusty Ray Ban Erikas. I don’t usually approve of super short shorts, but these are a bit of an old favourite and exclusively reserved for holidays, where I try to limit the amount of people who might possibly see a bit of my bum cheek. OH WELL. You really can’t part with Levi’s that cost you a fiver and go with every piece of clothing you take on holiday. What is your go-to look for a casual day at the beach?